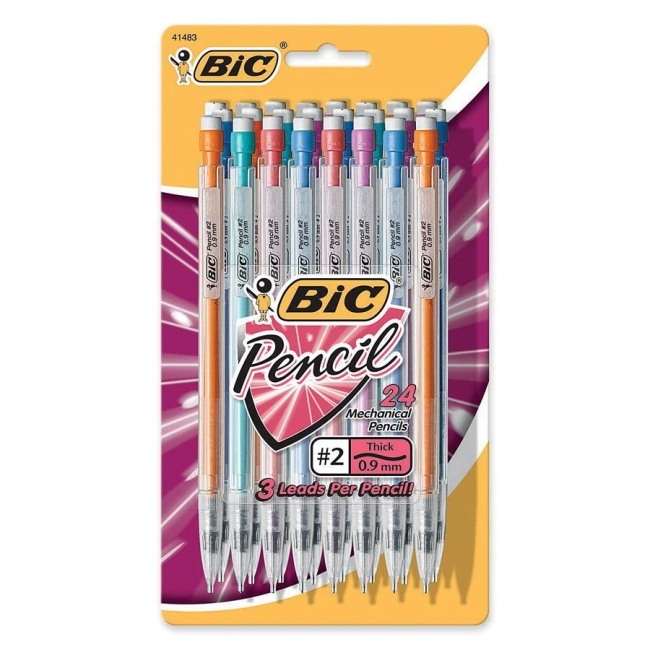 Mechanical pencils deliver a write-out equivalent to 2-1/2 wood case pencils. Smooth writing lead does not smudge, erasing cleanly. 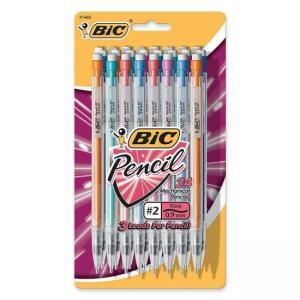 Each pencil contains three full-length, self-feeding leads. Convenient pocket clip attaches to pockets and folders. Nonrefillable.